North America Forum»Forum ›League of Angels ›Support › SUPPORT PAGE, PAYMENT ISSUE!! YET no one replies there! OR if there is, mostly your support group know nothing! I reported about PAYMENT ERROR. YET it deducted my debit card. It\'s not the 1st time.. It\'s almost nth time!!! When someone replies my tickets, they always ask about payment ID\'s even if I already told them that it deducted my money without any IDs!! Those successful recharge has payment IDs.. Payment failed has NO payment IDs, only deduct money! You know the basic replies of your support group?! PLEASE GIVE US THE PAYMENT ID - I can\'t give you since it doesn\'t register! 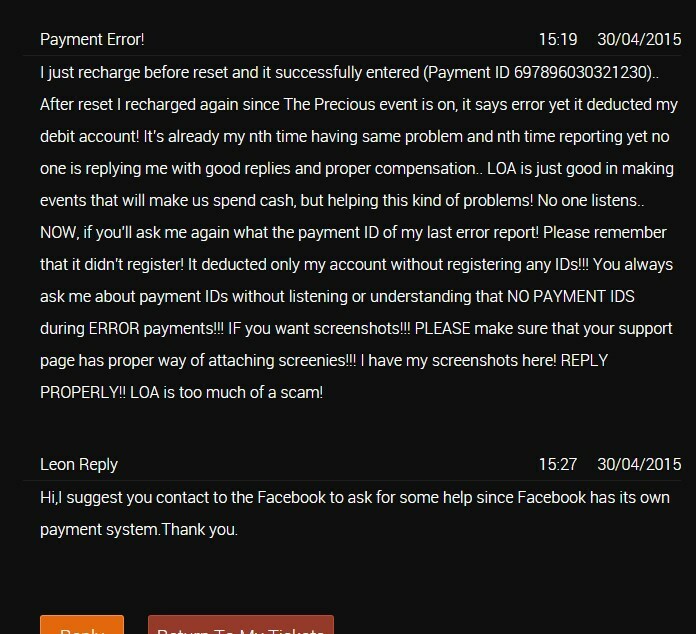 PLEASE SEND YOUR PAYMENT QUERY TO FACEBOOK TEAM, NOT LOA! - I already did and they don\'t know or don\'t have anything to return to me! You\'re only good in making events that will make us spend, and helping is not your priority! I need reply.. You can messaged me thru PM or reply here if you need more information. What a very fast fcking reply again! I\'m recharging and spend money to your game! NOT to Facebook alone!!! To report your issue we need IGN and servernr. Already reported to your support team, asking payment ID again. The last report I made to facebook team, same reply, we can do nothing. If you want so many successful recharged I made (around $3k) and payment ID\'s, I can give you just to prove that $100.00 and $40 is not worth faking for. 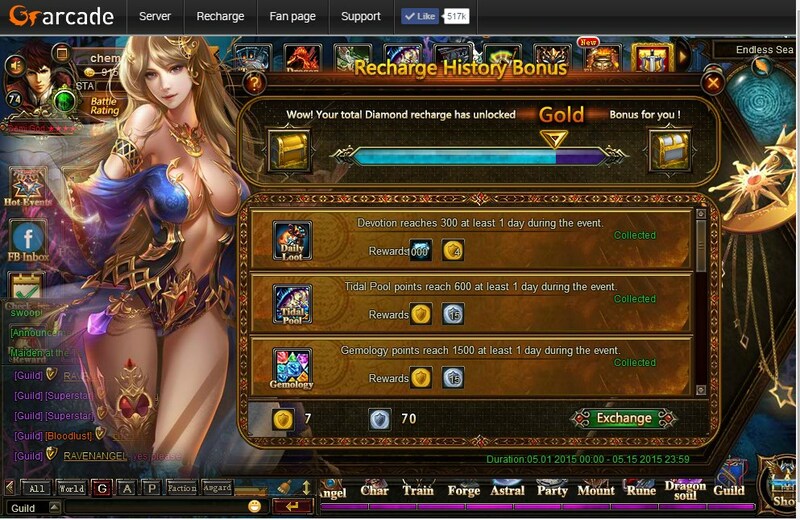 I just need proper compensation especially it always happened during The Precious Event is on. I already asked financial statement from my bank. It\'s already deducted there. SO, it means I wasted for nothing. LOA support be more intelligent in answering rather than using your mechanical replies of Payment IDs! Your never going to get your money back, they are never going to give you anything. This is a communist company and the only thing you can do is request your money back from your bank, then have your account banned from GTarcade, who will then demand money to release your character, put a 15 day ban on it, then add more time the day it was supposed to be released, then demand more money. I\'ve reported your issue. If I understand it correctly it goes wrong between the point where you should get a payment ID and where it\'s deducted. They do take the money, but nothing is given back right? 2019-4-20 23:06 GMT+8 , Processed in 0.063101 second(s), 52 queries .